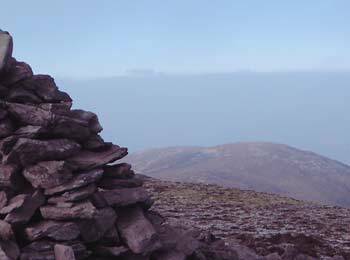 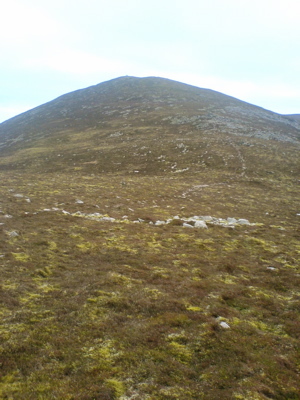 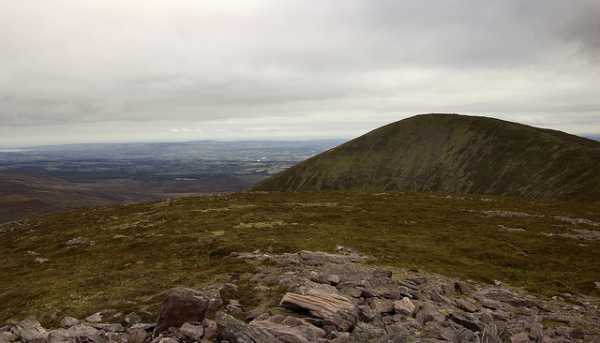 The most travelled routes to this summit are from the direction of the Sugarloaf. 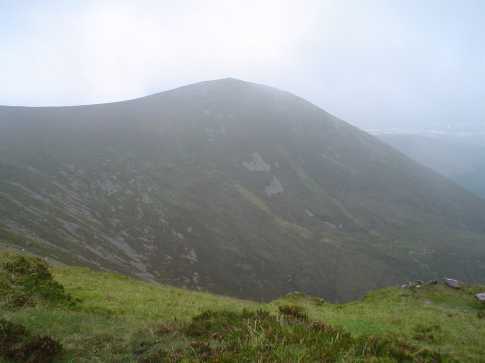 Starting at the Vee, where there is lots of room to park safely by the roadside, and heading up the rough, often boggy track past the Grubb monument (large stone cairn by the roadside), join the stone wall just after the Sugarloaf summit cairn and follow the wall towards Knockmealdown ,leave the wall and cross the mountainside at 730m elevation just before the final pull to Knockmealdowns summit to reach the rocky pile of stones that marks Knockmoylan. 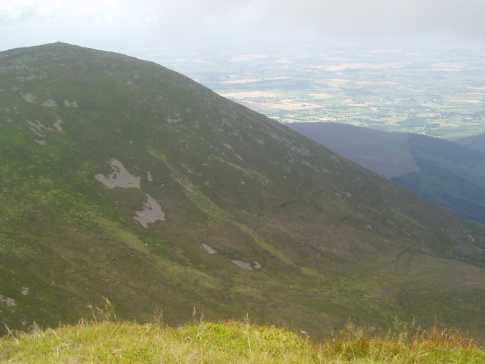 You can also park in Bay lough carpark S031 101 A, cross the main road and follow the steep rocky track, keeping the stone wall to your left to the top of the Sugarloaf, turn east then to follow the wall as before.